Halloween is not only the festival of deadly shows or deadly makeup or deadly getup its also for deadly looking sweets. Go for the deadly cookies in the shape of skulls and they are created specially for the Day of the Dead in Mexico. 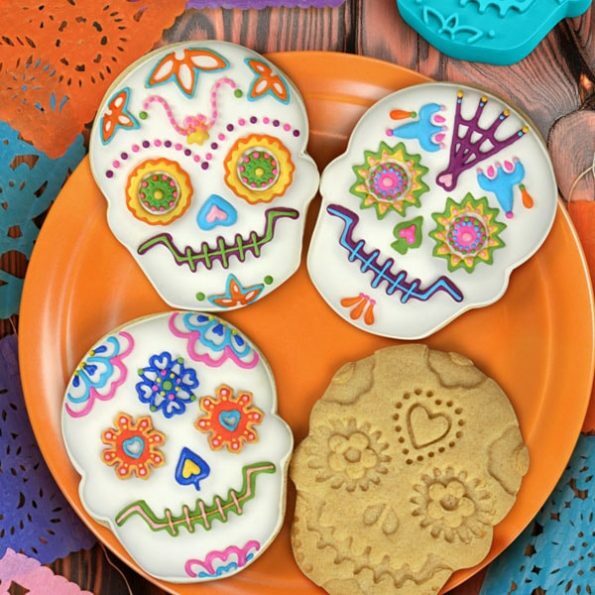 Buy this set of imprint cookie cutters to make 4 large skull-shaped cookies and simply decorate in vibrant fiesta colors.